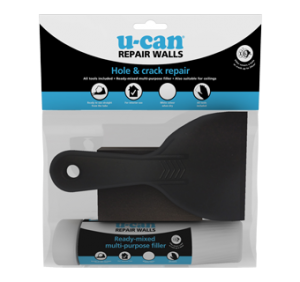 Fix almost anything around the house with versatile, durable U-Can Rapid Set Putty. This handy, easy to work material sticks to a wide range of surfaces including steel, wood, plastic, glass, and ceramics, creating a tough, permanent repair. It even works underwater, so you can repair baths and sinks. Before applying U-Can Rapid Set Putty, lightly abrade (rough up) surfaces to be fixed. Cut off enough putty to cover the damaged area and roll between your palms until it forms a smooth, workable ball. Then, simply press into place and smooth out edges. 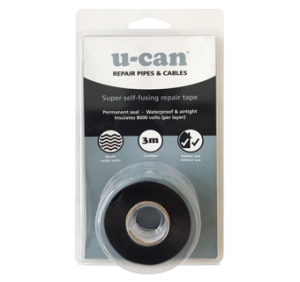 U-Can Rapid Set Putty sets in 10 minutes and can be drilled in one hour. 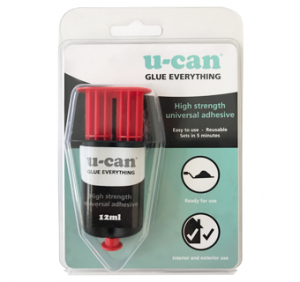 High Strength Universal Adhesive is a strong, fast setting two component adhesive you can use to fix practically anything around the home, indoors and out. 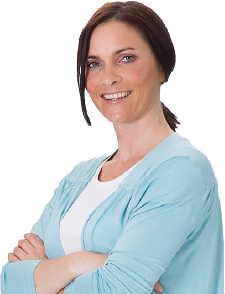 for further help and advice on using any of our products.